We were usually too busy gigging and auditioning new members to get around to seriously recording anything! 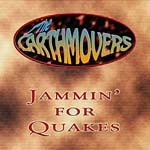 Three CDs exist of Earthmovers material. Contact us at the address below if you're interested in any. We now have a profile on SoundCloud, which contains just about everything we ever recorded for release. This was a 5-song studio demo tape, recorded by the original Alan Liddle-fronted line-up in 1993. Space and time restrictions meant that the drums had to be electronic, rather than acoustic. With hindsight, we should have gone back and re-recorded some of the guitar parts; and for some reason the vocal track seems to have been speeded up, so that Alan sounds like he's been snorting Helium! However, there are reasonable versions of Gulf and Thinkin' 'bout You, along with the storming title track, which showcases Alan and Pete's formidable songwriting skills. This material was transferred to CD in Summer 2002, along with two 4-track demo versions. New cover design by John Pierpoint. Paul had an elaborate recording set-up. He used it to capture most of our rehearsals and some live shows. This tape was a compilation he put together of some of the best bits from when he joined in July 1993 until August 1994. The songs were linked by readings of Paul's poetry, with background music by Paul. This material was originally released as a tape in 1994, with cover design by Paul davies. 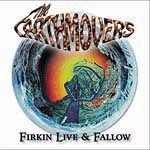 It was transferred to CD in May 2003 with new cover design by John Pierpoint. After settling in to a monthly residency at The Fallow & Firkin in Harborne, we decided that the sound quality of the PA there was so good (due in no small part to the excellent mixing of resident engineer John McQueen), that it would be worth recording a show. We finally got round to it in December 1994. A multi-track recorder was used, but all we did was set up a couple of Tandy PZM mics at the rear of the hall and send the vocals straight in on their own channel. No post-production occurred. For that reason, Paul came up with the title idea: fallow meaning left as it is. While perhaps not the best gig from that period, it still sounds very good. Kevin Reihill appears as guest rythmn guitar on three of the songs, and provides the tape intro to "The Ghost & Serpent Syzygy". This material was originally released as a tape in January 1995 with cover design by Paul Davies. It was transferred to CD in May 2003. The stunning new cover features original psychedelic artwork by Julie Hatton. Don't ask - it was awful! This was a home video of our first ever show with Paul at The Greet, Tyseley. We hadn't been together too long, so although we had a shedload of material, we weren't too sure of the arrangements. At the start of The Grey Land (which normally has a triplet feel), Doug had a mental blank, and insisted on playing it in 4/4. We had to stop, argue a little, and then do the whole thing in 4/4 (which slowed it right down). Doug had more skill and gigging experience than the rest of us put together, so it just goes to show - it can happen to anyone. These articles were taken from the irregular series of Gig Guides that we published between 1994 and 1996. As well as plugging upcoming gigs and tapes for sale, we used the guides as a mouthpiece to voice opinions and give explanations of the songs' origins. Here are some of them, with their original publishing dates. December 1994. What is it? (Referring to the strange boat-like symbol that appeared on our banner, recordings, T-shirts and gig guides). THE BLUE BUS. Ray Manzarek, keyboard player for THE DOORS, gives his view on the meaning of the following lyrics from THE DOORS' song "THE END", written by JIM MORRISON. "The Blue Bus is calling us. Driver, where you taking us?" The journey to paradise where all things are possible can be accomplished only by surrendering your final destination to the driver of the Blue Bus. The journey here is both physical and spiritual. Manzarek discusses the aspect of the song: "I hate to interpret, but I'll draw an analogy to the Blue Bus. The ancient Egyptian civilisation, in their rites and religious rituals, had the Solar Boat. When you died, you got in The Solar Boat and went wherever you went. That whole big journey after a kind of death is in the Solar Boat. Well, blue being a heavenly colour, blue being associated with mysticism and trips. . . the bus also being associated with trips. . . it's all of the the trips you could possibly imagine: The Blue Bus." January 1995. The Gulf Between Us - what's it all about? The Gulf War will long stay in my memory, not for the hideous loss of life and environment, nor for the convoluted moral dilemmas which arose, but for the fact that the war was televised to an extent previously unheard of. We were witness to reporters' accounts from the heart of the enemy's capital city - all uncensored and without restraint. The whole situation seemed so unreal - the running commentary on cruise missiles as they wove through the streets of Baghdad; the scenes of journalists sitting amongst satellite dishes on sunny hotel rooftops; the "guests" of Saddam Hussein, in a grotesque Iraqi propaganda piece which must have seemed like a gift to the allies. Then there was the footage from missile nose-cones. . . The distinction between video-game and real life became blurred. This was a war in which we could all participate! A strange and unsettling melange of emotions was stirred, which I tried unsuccessfully to get down on paper for many months. The music started life many years before, as a sequence of choppy chords that I used to crank out every time I picked up a guitar. The apocalyptic intro was a separate piece, worked out later, that didn't seem to go anywhere. Putting the two together seemed natural, but the theme didn't surface until I'd put a lead guitar melody over the top to simulate a vocal line. There was a definite eastern flavour, which created a focus for the rough lyric ideas I'd kicked around for months. The main lyrics were then written in a day. 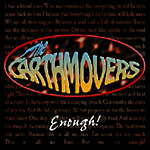 The song was performed by the original Earthmovers line-up; and when Paul joined, he added his spoken part near the end (a perfect compliment to the main lyrics). The song really needs two guitars to do it justice, but for shows where Kev can't be there, Pete and I worked out a simplified ending. Pete's "helicopter" only became part of the song a few weeks ago, but we reckon it's a great final touch. This is not an anti-war song, nor a political statement, but rather an observation of human behaviour and attitudes.